Natalie Wright, Author: Inspiration at 35,000 Feet! Much of my first novel, Emily’s House, takes place in Ireland. I’d been inspired to write a story partially set in the Emerald Isle, but I’d never been there! 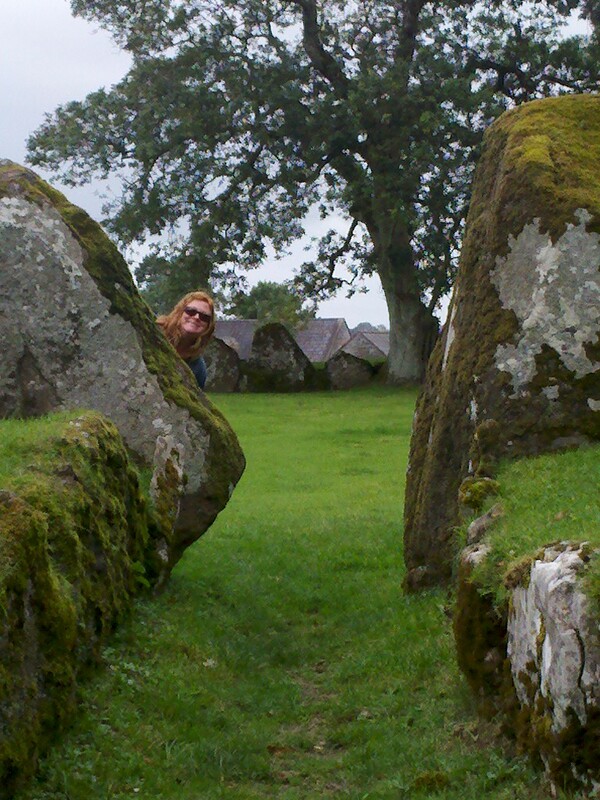 As I finished the first draft, I knew that I had to go to Ireland before I could finish my revisions. But there was a problem. I didn’t have the money to make the trip. But that problem was solved when I won a trip to Ireland in a radio contest – true story! (Read this post for more on that story.) Less than a month after I’d prayed for the opportunity, my plane touched down in Dublin. It was magical to traipse around the Irish countryside, roughly following the path that my characters tread in Emily’s House. I smiled so much my face hurt! Before I left for Ireland, I’d envisioned Emily’s House as a single novel, not a series. 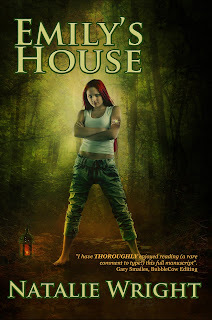 Written for a late tween to early teen audience, Emily’s House is a classic hero quest. Emily learns of her ancient magical heritage; journeys solo and learns secret knowledge from a wise mentor; receives magical objects; and then defeats the bad guy and saves the day. A grand adventure for Emily and her pals. One big story. The end. But on my way back from Ireland, cruising at 35,000 above the Earth, something happened. Maybe it was the lower-than-normal oxygen level. Or perhaps the white noise hum of the engines created stillness and focus. Whatever the reason, my mind was open and my imagination flowed. And there, 35,000 feet in the air, three titles popped into my head: Emily’s House, Emily’s Trial, and Emily’s Heart. On that flight, Emily told me that she had more than one story to tell. In Emily’s House, Emily was faced with obstacles, to be sure. But I hadn’t challenged her as much as I could. I wanted to see what would happen if I pushed her to the edge of the cliff. All I needed was a juicy catalyst of a challenge. By the time I touched down back in the U.S., the theme of book 2 was clear to me: Fear. What if Emily’s worst fears began to come true? What if her friends’ nightmares became real? My initial premise was born on that flight in September, 2010. And by the time I touched down back in the U.S., I had a brief outline of Book 2, Emily’s Trial. Last November (2011), I gave myself a challenge and participated in NaNoWriMo (Nat’l Novel Writing Month). The goal: To write a 50,000 word novel in 30 days. My family ate out of boxes and bags for much of the month, but I achieved my goal. By December 1, I had the first draft of Emily’s Trial written! It was an incredible challenge to push myself to write that much each and every day. The truth is, usually I’m a sporadic writer. I may write for eight hours one day, then not write at all for a few weeks. But I soon found that total immersion in the story for thirty days straight was a blessing. I ate, breathed, slept and dreamt Emily’s world and characters for a whole month. And as I lived with them, they spoke to me more clearly than they ever had. The characters took the story to places I hadn’t imagined. And I ended up with an ending that required me to go back and rewrite the beginning! It was wonderful fun for me, as a writer, to explore the theme of fear with these characters. Poor Emily – I pushed her so hard! But the reward is a character-driven action story that tests long-held friendships and loyalties. I may be crazy, but I’ll be doing the NaNoWriMo challenge again this November, and banging out a first draft of Book 3, Emily’s Heart. So think of me this November, foregoing decent food, sleep, fresh air and Facebook as I write the last chapter of Emily’s amazing journey. 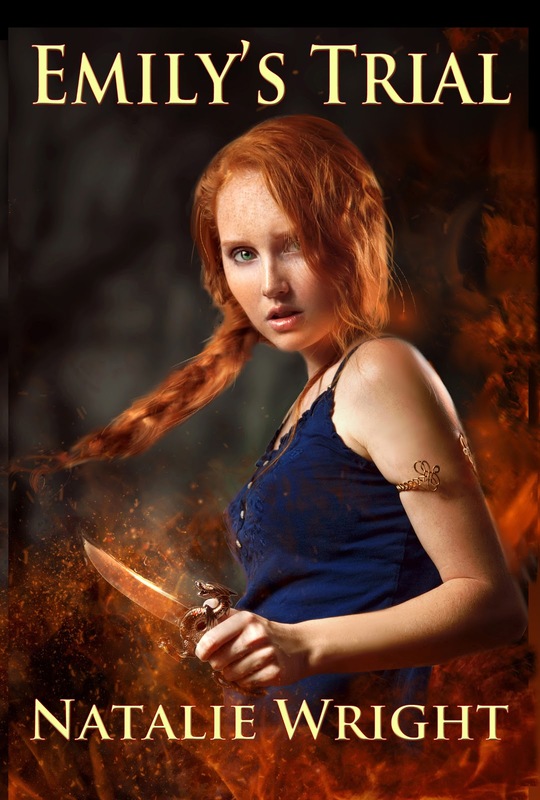 Will Emily rise to the challenge left her at the end of Book 2? And will love flourish in Emily’s Heart? It's funny how one's characters take on their own, true existence :) My Savannah of Williamsburg was supposed to be a simple children's book, actually, initially titled "The Capitol Squirrel". Three novels later (and the fourth one in progress), she and her pals are forging their way, and naturally separating, toward Revolution. None of it is under my control! I knew your characters had far more to share with me when I read EH. Some figures are too large to keep bound by the constraints of a single title. My characters took the reigns last November and threw me such twists and turns in Emily's Trial, I've been perplexed for almost a year as to how I was going to dig myself out of the mess they left me! Think I've finally got some solutions (good thing too, 'cause I start writing next week). Natalie, I've had the same problem, only my book evolved/devolved from one book into seven!